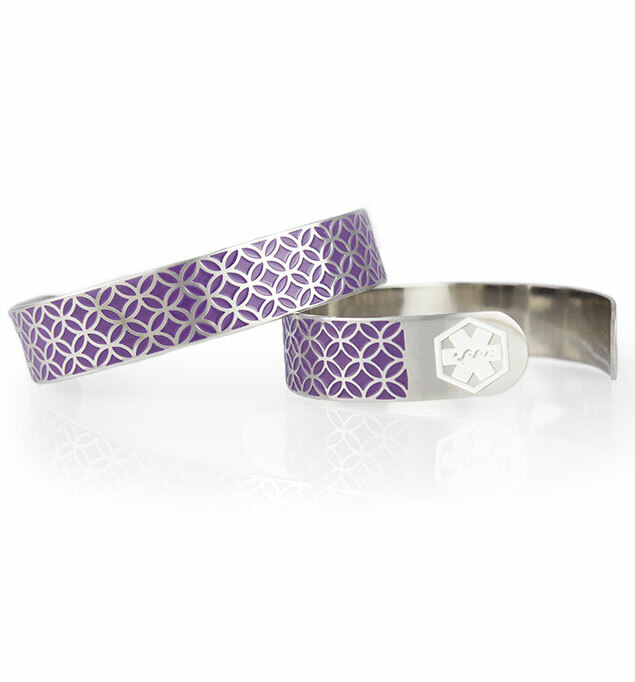 The Glinda medical ID bracelet is a stainless steel cuff with an intersecting circle pattern. A quilting classic, the double wedding ring design is filled with a rich purple finish. Each end of the Glinda medical ID cuff bears a contrasting white medical caduceus symbol to alert medical professionals to your personal information, engraved on the inside.